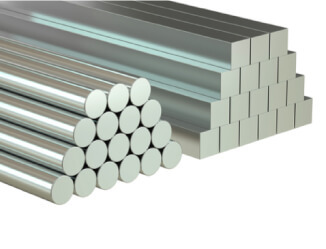 Stainless steel round bars are available in round, square and hexagonal sections in various thicknesses. Available in 3m lengths and cut lengths as requested. Also available in bright and mild steel sections. Stainless steel round bars are useful for metalworking and creating frames, railings and gates due to the fact that it can resist corrosion whilst also combining the usual strengths that steel has to offer. This material offers structural integrity with an aesthetically pleasing appearance and resistance to the elements. South West Steel offers a wide array of Mild Steel products including sections, plates, bars, beams and other products such as pipework and hand railing. If you are looking for these products and wish to see dimensions and prices then do not hesitate to contact us today for a free quotation. Stainless steel square bars are useful for metalworking and creating frames, railings and gates due to the fact that it can resist corrosion whilst also combining the usual strengths that steel has to offer. This material offers structural integrity with an aesthetically pleasing appearance and resistance to the elements. 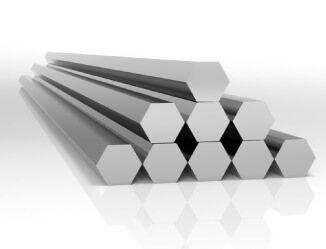 Stainless steel hexagonal bars are useful for metalworking and creating frames, railings and gates due to the fact that it can resist corrosion whilst also combining the usual strengths that steel has to offer. This material offers structural integrity with an aesthetically pleasing appearance and resistance to the elements.